Holy moly it's the last week of classes here at Clemson! In less than two weeks, I will officially be a senior in college. Ugh that just gave me chills. I feel so old and I'm not ready for that. Anyway, the end of the semester brings lots of stress - term papers and projects, final exams, and leaving your beloved college town :'(. With so much going on, being prepared to leave the space that has served as your home for the last nine months can be extraordinarily difficult! But have no fear! I am here to help. This year is my third year moving out of a dorm, so I guess you could say I'm a bit of a pro at this point. 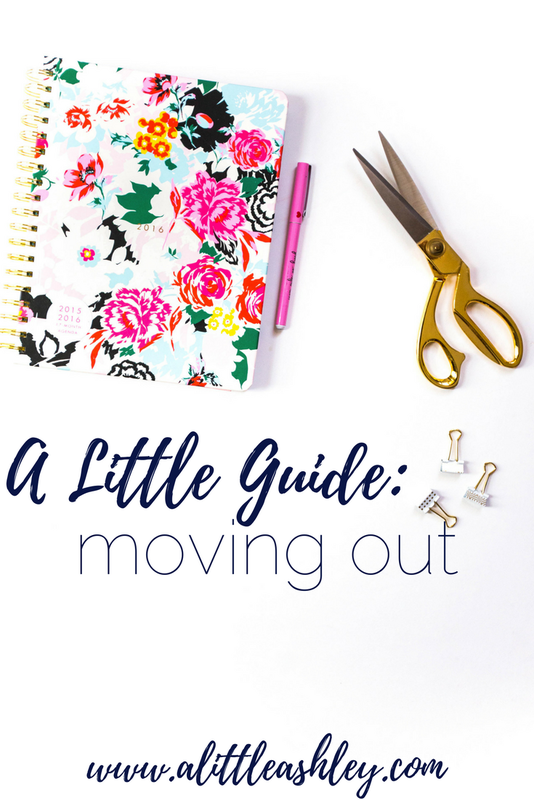 Here are my tips to help you from losing your mind as you move out! DUH! Right? Well it makes a big difference! My freshman year, my mom came and picked me up, so I had the luxury of her SUV to carry my stuff home. What I didn't plan for was flying back in the fall, so I had WAY too much stuff for two suitcases and had to pay those expensive overweight fees (Dad was not happy, I don't recommend). Last year, I flew home so I was limited to two suitcases, my carryon duffle and a tote - PTL for Southwest's free two suitcases. Knowing I had limited space definitely influenced what I brought home - clothes and necessities only. If you go to school closer to home, this may not be as big of a concern to you, but it's still good to think about. Personally, even if I didn't live half way across the country, I wouldn't want to lug all my stuff back home - I can pack a lot into a dorm room. I highly recommend getting a storage unit or using a moving/storage company (my campus has a university endorsed option) to keep all of your items safe over the summer. To reduce the cost, look into storing your stuff with your froomies so all of y'all have your stuff in the same place when it's time to move into your new digs in the fall. I've also used the generosity of my sweet boyfriend who let me keep all of my stuff at his apartment last summer so I didn't have to pay for storage. Either way, find an option that works for you and your budget. Trust me, you do not want to realize after your Friday night exam that you have to be checked out by 10am Saturday. If you're busy all during exam week, plan breaks in your studying to start packing up. Fifteen minutes to take things off the walls, thirty minutes to start packing up suitcases. Not only will you have a productive way to get your mind off of studying for a few minutes, but by the time you're worn out at the end of the week, you won't be freaking out that you have to pack, you'll have time to relax and say goodbye to friends. Those 15 ratty old t shirts you told yourself you'd wear, the 10 notebooks from gen ed classes that will never cross your mind again, that big stack of textbooks - those things don't need to keep making the trip back and forth with you. Donate or sell clothes you didn't end up wearing this year. Sell textbooks back to the university, or through a buy back program, or on your university class Facebook page. Take pictures of notes to add to a study bank, but then recycle those notebooks. Do as much as you can to reduce your load, especially if it's things you don't need. Just make sure you're doing it in a sustainable way - donating and recycling are always better than just throwing things out. No I don't mean spending your packing (or studying) time painting canvases. I mean get creative with your packing! Big boxes are expensive, take up a lot of space, and will just get thrown out, consider packing in items you already have. Hampers are great for storing bedding and towels. Have a storage ottoman in your room? Use it as a safe spot to put photos, items on your walls, and any breakable items. If you only need one suitcase to take home, use the other to hold your off season clothing and shoes. Not only will you get everything packed up, but it'll be easier on your wallet - win, win. I've had space bags in my rooms for the past three years. They're great for storing winter clothes, but they can also help your pillows, duvet cover, and any other fluffy items taking up less of your precious storage space. They can be a little delicate, and despite what I thought, are not capable of being stuffed full and still being useful, so get 3 or 4 (they're pretty inexpensive) and get packing. This one is especially true if you're using a moving service, you'll want to have everything labeled with your name. If you're moving yourself out, it's still a good idea to know where things are packed. You won't want to start off the next year by spending twenty minutes trying to figure out where the heck you put your pillow cases. Make a note on your phone, label boxes, or put sticky notes on your items of what is inside so that moving in in August goes smoother. Of course you have to leave your room clean when you move out, but consider cleaning everything else before it goes into storage. Wash all your sheets and towels before packing them away. Wipe down Keurigs, other appliances, tables, chairs, etc. Dust items before packing them up. Do your laundry before you pack it - this may seem weird considering you're about to go home and have parents who can (if you're lucky) do your laundry, but it's kinda gross to pack dirty clothes - especially if you're packing the week before you leave - and it'll make unpacking so much easier, because if there is anything worse than packing, it's unpacking. Just like with studying, sometimes you'll need a break from packing. If you find yourself getting overwhelmed with how much you have to do and not having enough time to do it, take a break. Go walk around campus for a bit, grab a quick coffee with your friend before they leave, enjoy spring time. In the end, you will get moved out of your dorm on time and you don't need to stress yourself out over it. You are in college after all. You won't be back for a few months and this may be the last time you see your friends before you all set off on your summer adventures. Pat yourself on the back for surviving the semester and final exams and treat yo' self to dinner with friends. I always get nostalgic at the end of the school year - even if the semester has been tough. We're only in college once and it is so much more than just academics. Appreciate the beauty of your campus and the fun memories you've made over the course of the year. But don't be sad, in a few months, you'll get to do it all again. Do you have any other tips for moving out? I would love to hear!